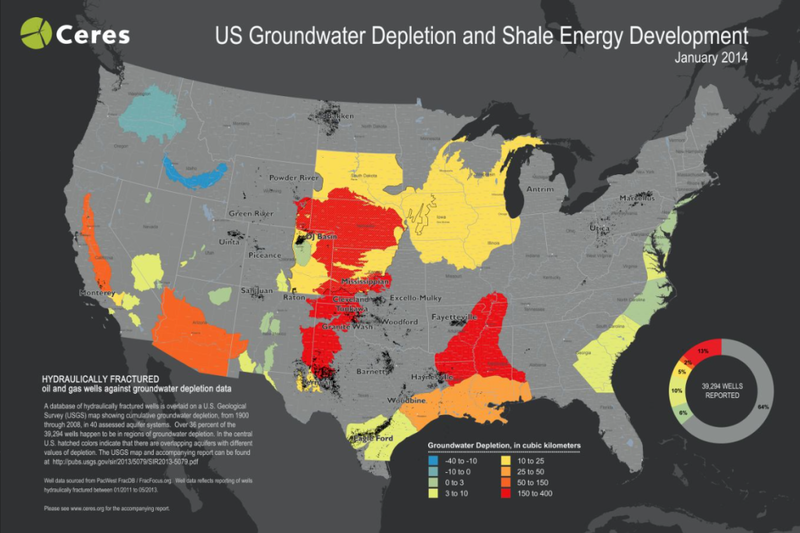 With hydraulic fracturing and horizontal drilling on the rise in the United States, many regions have become at risk for water availability. To help highlight these areas, Blue Raster created a series of Hydraulic Fracturing & Water Stress maps for Ceres using Esri’s ArcGIS Desktop software and Adobe Photoshop. Through these maps, users can view eight regions of intense shale development in the United States and Canada, and the degree to which these areas are under stress. Featured in CERES’ latest report: Hydraulic Fracturing & Water Stress: Water Demand by the Numbers, the maps provide investors, lenders, and regulators with sustainable recommendations for minimizing their water demands. 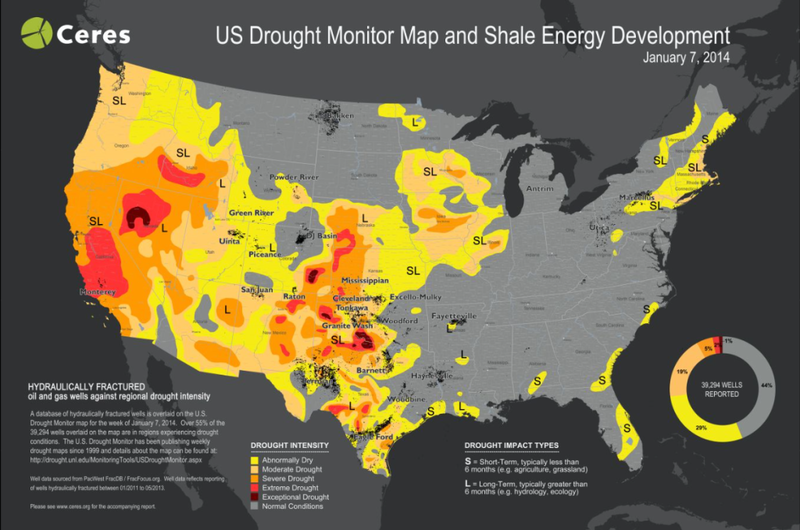 With more than 55% of U.S. wells located in areas amid drought, and 36% percent in areas experiencing groundwater depletion, the maps serve as resources for ensuring a long term sustainable strategy for industries in shale energy development. To learn more about the project and to view the maps, visit Ceres’ Hydraulic Fracturing & Water Stress page.